It’s something straight out of a sci-fi movie. It’s controversial, unexplainable, intriguing, and for all intents and purposes, authentic. 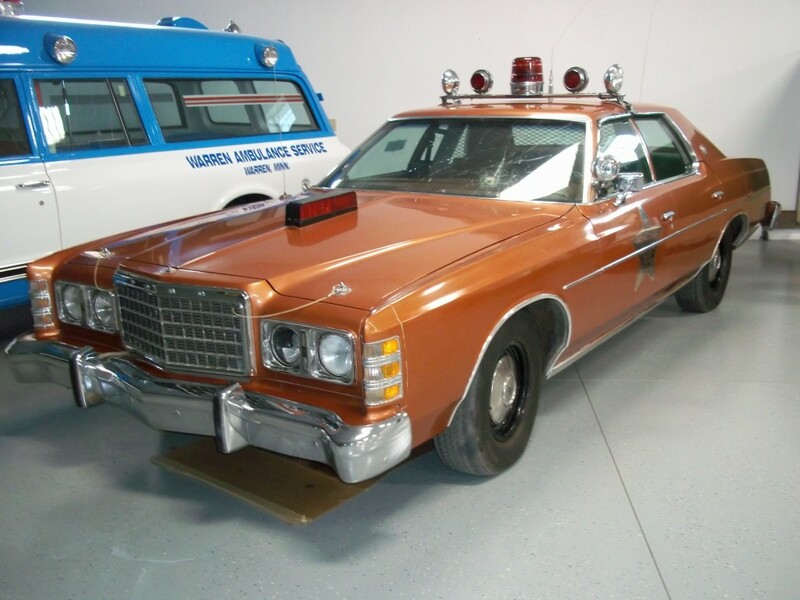 This is the UFO Sheriff’s Car, a rust-colored 1977 Ford LTD, found in a small museum in the sleepy little town of Warren, MN, pop. 1,563. The date is August 27, 1979. A small town deputy sheriff by the name of Val Johnson is on patrol just outside of a local town called Stephen. Suddenly he sees an extremely bright light, blinding him and sending his squad car into a skid. He hears glass breaking and his eyes burn. Unsure what this beam of light hurtling towards him, he loses consciousness for 40 minutes. Upon waking he radios for backup. He also notices his wristwatch and the vehicle’s clock had stopped for 14 minutes. When back-up crews respond, the light, and whatever caused it, is long gone. All that is left is a damaged squad car, skid marks on the highway, and a dazed and confused deputy. He is examined by a local physician and is found to have bruises and eye irritation similar to “welder’s burns,” caused by direct exposure to extremely bright, UV light. The vehicle itself has unexplainable damage. 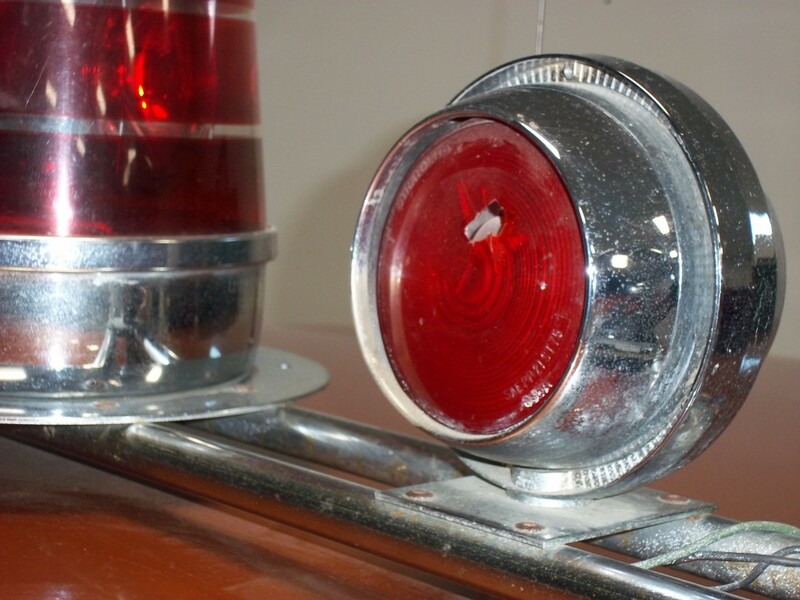 A headlight is broken. There are several dents on the hood. The windshield is shattered into spiderwebs. 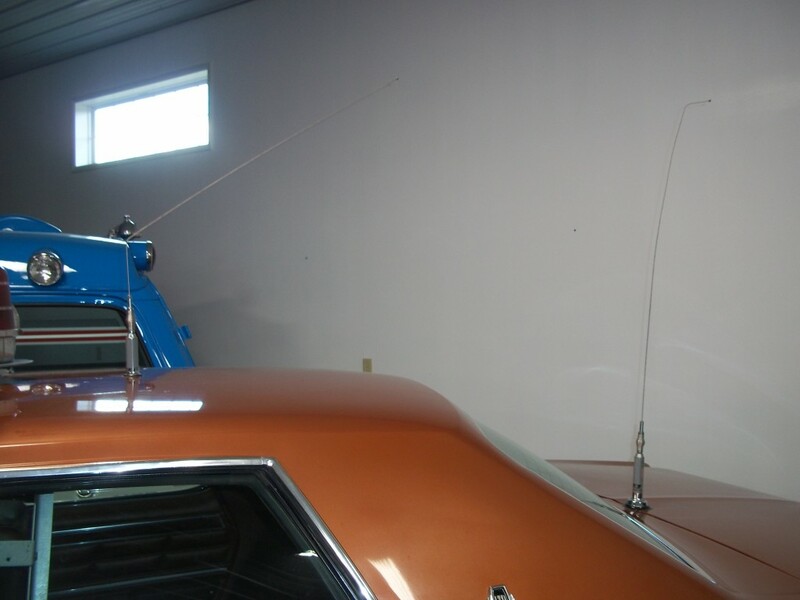 A beacon light on top is broken, and strangest of all, two radio antennas are bent at 90 and 45 degree angles but not broken. It’s as if the heat from the unexplained object caused them to bend, not snap. The event was meticulously detailed as it was recorded, and there is a lot of evidence here such as newspaper clippings, interviews, and subsequent studies done by UFOlogists. 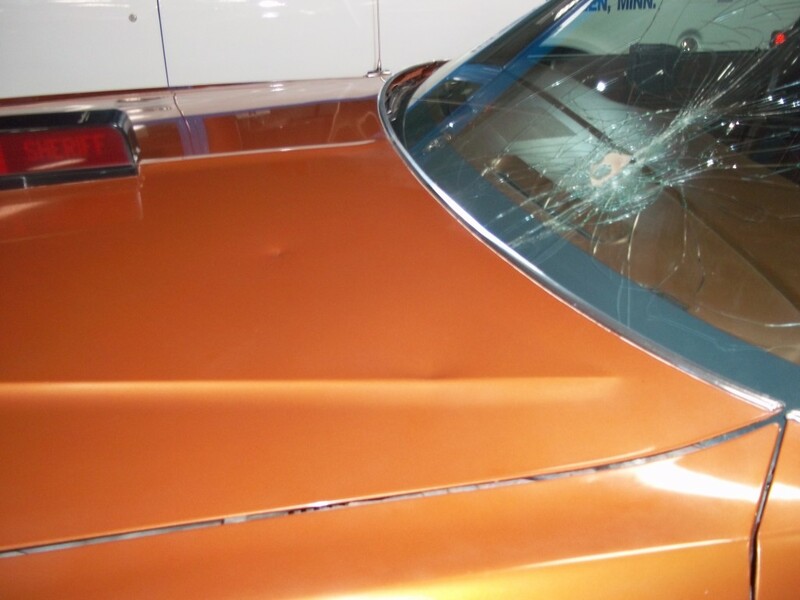 The Sheriff’s department instructed that the vehicle be repaired and put back out on patrol, but Johnson convinced them to keep it as such, damage intact. We’re sure glad he did. From what we took away from it, this is the real deal. UFOlogists consider the incident one of the most significant and best-publicized UFO events of the 1970s. The evidence is here, and there have been no other logical explanations. There are other witness accounts too that claim a bright, blinding light did occur that same night. Johnson, who is believed to now live somewhere in Wisconsin, has done interviews but obviously quickly grew tired of all the unwanted attention. I guess I don’t blame him. The museum is open during the week and was closed on the Saturday when we rolled through. But after asking around town, making a few phone calls, and banging on a few doors, I was able to secure a private tour with the local museum curator, a very friendly and knowledgeable guy named Kent. The museum is adjacent to a re-created 1800’s settler’s village, and also connected to a pretty cool little military museum. The big draw of course is the car though, and its fascinating, mysterious tale. While in the area: This part of Minnesota is rather flat and lakes are sparse, but the nearby Old Mill State Park is a nice little getaway to enjoy nature and seclusion. 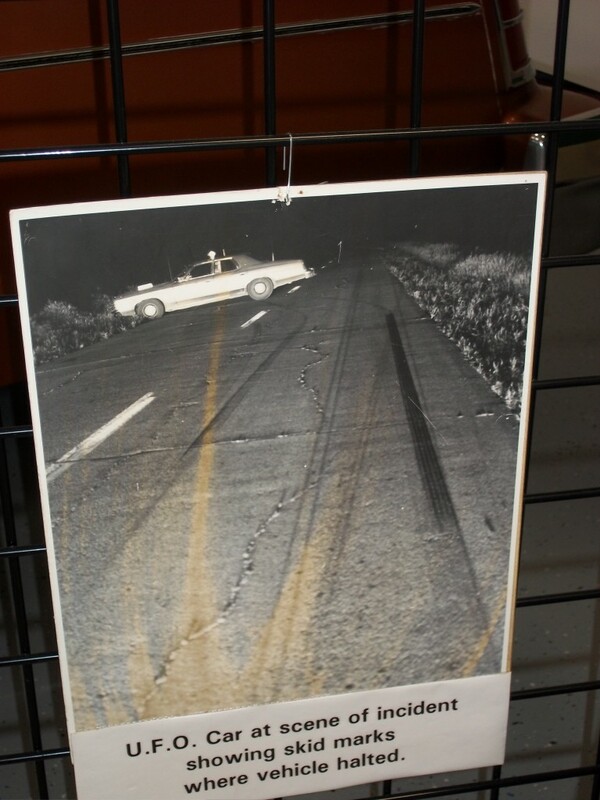 This entry was posted in Highway Highlights and tagged MN, Museum, UFO, Unexplained phenomena, Warren by Seth5544. Bookmark the permalink. This is conclusive evidence that UFOs do, in fact, exist. The sheriff’s car was simply hit by a lightening. If they do exist, why are they hiding with their, so called advance technologies, they can kill us all with a beam of light. Are they afraid of us? I do not think so. I have concluded there are three types of (non-official) people who claim UFO’s cannot exist; those lucky enough never to have seen one, those lacking the intelligence or imagination to realize how many other civilizations there must be thousands of years older than our own and those too terrified to even consider the possibility. I wonder what your opinion would have been had you seen what my then fiancée and I saw on a hillside above Sunset Park in South Western Pennsylvania one beautifully clear starry summer night. As I stared out the driver’s side window I saw a faintly glowing, top-shaped object appear over the near horizon, pass over a dead tree and continue on a level course almost over the front of the car before crossing over the valley and disappearing over the opposite hilltop. It was traveling an estimated 25-30 mph and only passed about 100-150 feet across our front so we kind of got a good look at it. It was shaped like one of those old-time kid’s tops you spun up with the spiral rod sticking out of the top and glowing like a dim florescent bulb with no markings on it whatsoever. Of course there is always the remote possibility both of us suffered simultaneous strokes as another denier suggested as a plausible explanation for teenagers seeing things at night while out parking. You ask why they’d have lights on their car? Off the top of my head I can think of two reasons. 1) The light is so bright that it conceals what the UFO actually looks like because all people can see is the bright light. 2) They have a bright light to increase their own visibility of their surroundings, just like we would. Okay, some believe and others do not believe. What does that prove? The one question I have that has always bothered me is: If we think we are sooo honest and truthful and never tell lies then why is it we as parents or care givers have no difficulty to read fairy tales to our children when we know they are not true to nature? Isn’t that like lying to our children? Are children mature enough to know the difference between reality and false hood? In fact children love fairy tales. Do we ever out grow them? I am not saying that the odd things that happen are not true. All I am saying is that we are just as fascinated about them as we were of fairy tales. Does that mean the strange events are not true? No, I think we really want them to be true. And the exciting thing about them is the possibility that they are true and we are not alone in this vast universe. The scientific methods we use to identify something or to conclude a theory by experiments etc. are all OUR methods. We do not have a different type of eye to see difference, and we have to use these scientific methods to prove a thing. There is no evidence that the methods and instruments are only and unique. Let us say we will see clearly one day. I take people at their word when they experience an event and try to piece the clues together. They may not have all the puzzle, but their experience cannot be discounted. This is coming from the biased baggage of listeners who have their own agenda. The person who experienced the event is not a scientist, an investigator, a journalist, etc. He has nothing to gain by lying. He’s simply relating events and he should not be dismissed. If we discounted claims not yet entered into some textbook, we’d have no theory of relativity, no vaccine for polio, no research departments for anything. Aliens who have succeeded in coming into earth’s atmosphere without our knowledge? Why not? Do we think we are so perfect that we know everything because it’s in a medical journal? Or National Geographic? Do we claim to have all the answers as to why we are here? Who could have the brilliance to design a honeycomb? How do bees know what to do? Who could have the brilliance to design the internal organ system of the human body? Do we know without a shadow of a doubt if there’s an afterlife? Of course not. Yet life after death experiences bear out that an afterlife most certainly exists. We need to listen to and respect one another. All anyone can say for certain is this. Alien life, that is to say life not from earth, quite nearly certainly exists… given the size and age of the universe and the fact that life can exist, of which we are proof – it probably exists elsewhere. Beyond this we are all talking out of our asses if we say definitely this or that, regarding aliens. Anyone who may have possibly had contact will never be believed, at large, until “official” first contact is made. Seems like the visuals presented are familiar…I’ve got it, the scene in Close Encounters of the Third kind (1977) where an electric company lineman has stopped on a desolate stretch of highway to look at his map when he is subjected strange movements, his watch stops and lights bright enough to give him a suntan on one side of his face. 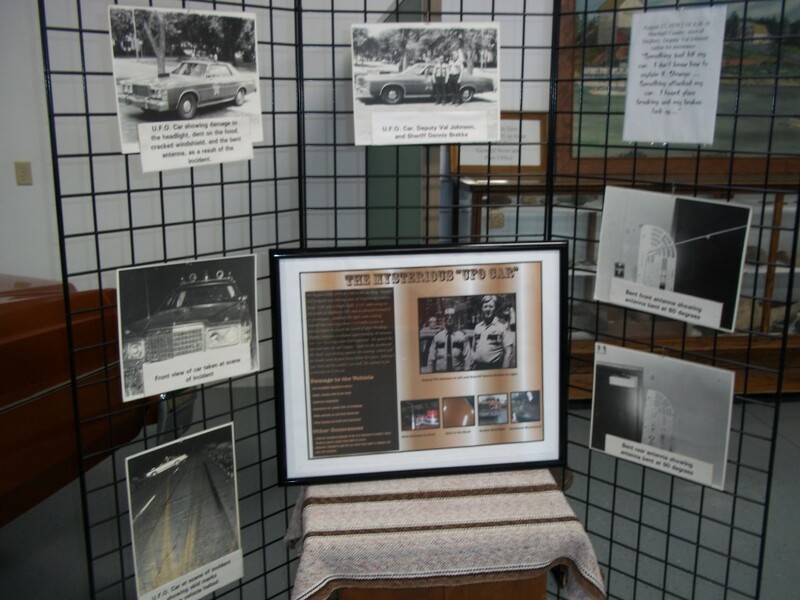 The patrolman’s “encounter” happened in 1979. There are those who don’t believe in ufo’s and yet believes in God. These people have never seen or heard God but firmly believe in God’s existense and the truth being God as the Creator of everything. Why then is so hard for these people to believe in otherwordly beings and ufos in the same sense of them being unseen? For all we know, these so called extra terrestrial visitors are our ancestors who placed us here on earth originally, for whatever reason. Angels exist but not on earth. I can only explain about the physical reality, I do not touch on the metaphysical thing because such topic is incomprehensible to grasp. People are real so that we must approach the level of communication understandable to all. Angels are representative to heaven of humans living on earth. Angels and heaven in this discussion are physical and realistic in description. I based everything on history. History is perfect, once it happened it becomes permanent and absolute. It does not care about theories. I do not believe in “time travel” backward in time because it would destroy history, hence there will be no history at all. Being representative into heaven, the angels ascend high to left somebody on earth, that happened long long eons ago. First and for many extended time most angels accepted in heaven are males. For countless millennia intelligent humans left on earth were only women. Leaders then were all girls so that we have the matriarchal society and Herstory before History of the world. This happened long before the time of the worldwide Rain of Fire. When the Rain of Fire is imminent and about to happen angels descended to earth to saved a woman, and maybe women in some other places. The big problem with the Bible is that it assigned the designation of first Man and Woman to Adam and Eve only, yet for a very long time there were already many people living then. Maybe that is HIS prerogative as original author of the Bible and nobody else. Intelligent life is the most important and precious thing in the universe, preserving it therefore must have no equal. Heaven must be designed as the safest place in the universe to harbor and prosper intelligent life. In some nooks and corner of the universe there must be some hidden pockets of empty space free from all energies beyond the reach of any technology. Away from all and hidden to everybody the highly evolve primordial beings constructed colonies in bygone eras our ancient ancestors called heaven.